ANDRITZ innovative submersible pumps are the response to extremely stringent demands for operational reliability, service life, and efficiency. Thousands of submersible pumps have been installed around the world, working successfully under severest conditions in water procurement, distribution and dewatering, mining and offshore applications. ANDRITZ multi-stage, single-flow submersible motor pumps from the SU series are designed to transport clean, slightly contaminated and abrasive raw water as well as mineral, sea, industrial, mine and cooling water. Depending on the area of operation, they are made of cast iron, aluminum-bronze or stainless steel. ANDRITZ submersible motor pumps are characterized by zero maintenance, a long service life, high-operating reliability and our innovative modular shaft technology (MST). For more information on our single-flow submersible motor pumps from the SU series please have a look at our brochures in the sidebar or contact us directly. 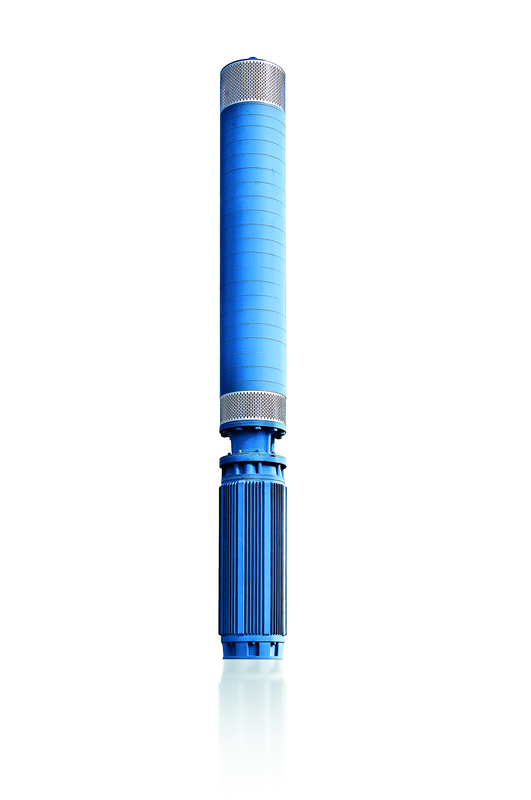 ANDRITZ modular shaft technology means a flexible adaptation to changing pumping conditions (changes in the head) by increasing or reducing the number of stages. Simple installation and removal of individual impellers (horizontally or vertically) help to save time and costs. Standardized components provide high availability as well as lower warehousing and logistics costs. Wherever highest demands are made on operating reliability, low maintenance, service life, efficiency, and above all on flexible delivery heads, pumps with ANDRITZ modular shaft technology are the perfect solution. This applies to all areas of water procurement and water drainage, for example, in deep wells and waterworks, in surface and underground mining, as well as in the oil industry. For more information on our modular shaft technology please have a look at our brochures in the sidebar or contact us directly. The use of single-suction submersible motor pumps for pumping liquids in huge quantities or from great depths is associated with extreme loads on the unit. The higher the pump performance, the stronger the axial thrust exerted on the pump, the motor, and its thrust bearing. The consequences are overloading and untimely shutdown. The solution: doubling up means greater durability. A double-suction pump design provides full compensation of the axial thrust. ANDRITZ double-suction submersible motor pumps, HDM series, are multi-stage, double-flow submersible motor pumps characterized by full compensation of axial thrust and 50% lower flow velocity. The economic benefits are maximum operational reliability, minimum wear, and extremely long service life (quite often exceeding 20 years). Every pump from the HDM series is tailor-made from standard modules to suit your specific application. 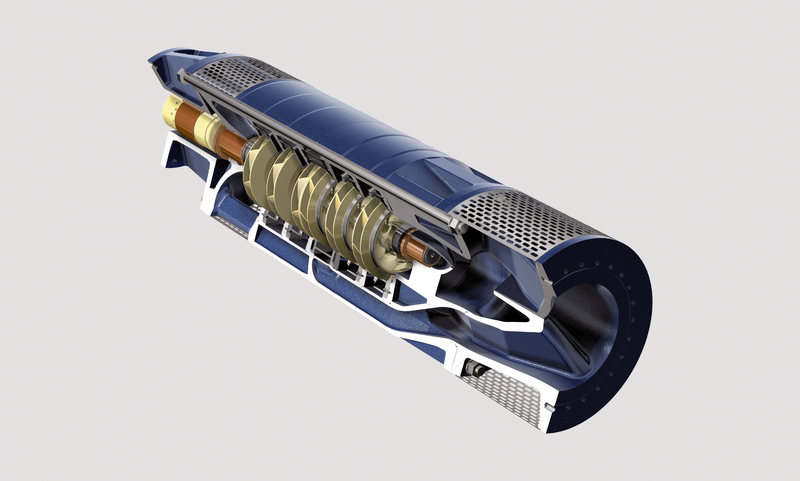 Thousands of these pumps have been produced and are in trouble-free operation around the globe; including the biggest submersible motor pump in the world. For more information on our double-suction submersible motor pumps from the HDM series please have a look at our brochures in the sidebar or contact us directly.